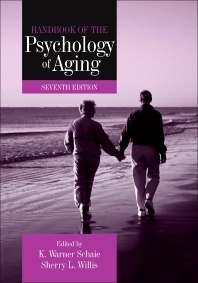 The Handbook of the Psychology of Aging, Seventh Edition, provides a basic reference source on the behavioral processes of aging for researchers, graduate students, and professionals. It also provides perspectives on the behavioral science of aging for researchers and professionals from other disciplines. The book is organized into four parts. Part 1 reviews key methodological and analytical issues in aging research. It examines some of the major historical influences that might provide explanatory mechanisms for a better understanding of cohort and period differences in psychological aging processes. Part 2 includes chapters that discuss the basics and nuances of executive function; the history of the morphometric research on normal brain aging; and the neural changes that occur in the brain with aging. Part 3 deals with the social and health aspects of aging. It covers the beliefs that individuals have about how much they can control various outcomes in their life; the impact of stress on health and aging; and the interrelationships between health disparities, social class, and aging. Part 4 discusses the emotional aspects of aging; family caregiving; and mental disorders and legal capacities in older adults. K. Warner Schaie holds an appointment as Affiliate Professor of Psychiatry and Behavioral Sciences at the University of Washington. Hw is also the Evan Pugh Professor Emeritus of Human Development and Psychology at the Pennsylvania State University. He received his Ph.D. in clinical and developmental psychology from the University of Washington, an honorary Dr. phil. from the Friedrich-Schiller University of Jena, Germany, and an honorary Sc.D. degree from West Virginia University. He received the Kleemeier Award for Distinguished Research Contributions and the Distinguished Career Contribution to Gerontology Award from the Gerontological Society of America, the MENSA lifetime career award, and the Distinguished Scientific Contributions award from the American Psychological Association. He is a past president of the APA Division of Adult Development and Aging and currently represents that Division on the APA Council of Representatives. He is author or editor of more than 60 books including the textbook Adult Development and Aging (5th edition, with S. L. Willis) and of all previous editions of the Handbook of the Psychology of Aging (with J. E. Birren or S. L. Willis). He has directed the Seattle Longitudinal Study of cognitive aging since 1956 and is the author of more than 300 journal articles and chapters on the psychology of aging. His current research interest is in the life course of adult intelligence, its antecedents and modifiability, the impact of cognitive behavior in midlife upon the integrity of brain structures in old age, the early detection of risk for dementia, as well as methodological issues in the developmental sciences.